Song of the day: Bob Lind – "Cheryl’s Goin’ Home"
A couple of days ago I posted a folk song by Bob Lind called “Elusive Butterfly”. It was released as a single in 1966, and is a one-hit wonder. Apparently, “Elusive Butterfly” the only song Bob Lind is known for. My American bloggin’ buddy Steve Smiles (Hi, Steve!) sent me a message on Facebook saying that he thinks Bob Lind should be remembered for the flip-side of the “Elusive Butterfly” single, “Cheryl’s Goin’ Home”. I had a listen to “Cheryl’s Goin’ Home” (thanks, YouTube) and enjoyed it more than “Elusive Butterfly”. As a result, I feel the need to play it to you. Thanks, Mr. Steve, for letting me know about “Cheryl’s Goin’ Home”. 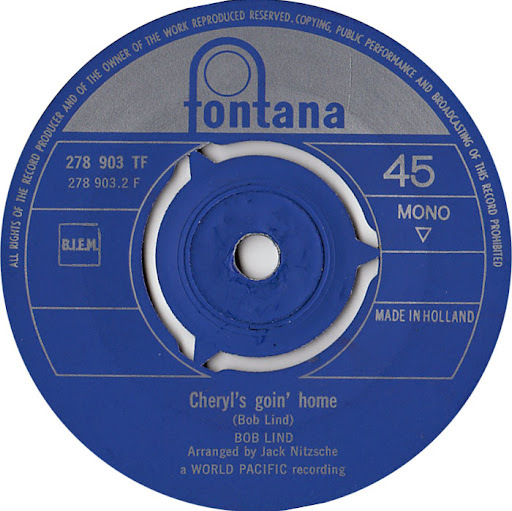 As well as giving me very pleasant “That’s great early folk-rock” thoughts, “Cheryl’s Goin’ Home” reminded me of two other songs: “Concrete And Clay” because of the beat; and “Will You Love Me Tomorrow” because of the opening vocal melody. Oops. This post ended up much longer than I thought it was going to be. Sorry about that. 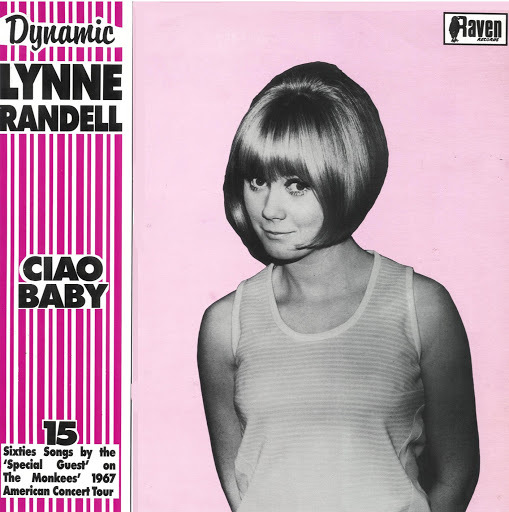 Song of the day: Lynne Randell – "Ciao Baby"
You are currently browsing the archives for the Unit 4 + 2 category.